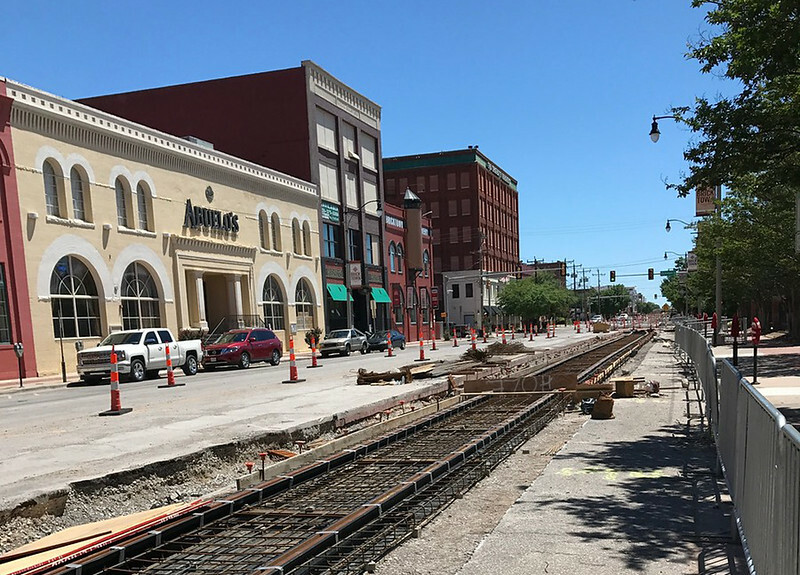 The OKC Streetcar continues the story of how Oklahoma City funneled the pain of rejection into fuel, making it one of the nation's most successful revitalization stories in recent memory. Oklahoma City is home to one of the nation’s most successful revitalization stories in recent memory. After years of urban decline and decay, the city may owe its turnaround to United Airlines selecting Indianapolis over Oklahoma City for its new maintenance hub and promise of 7,500 jobs in 1991. This came together when the city laid out a tour for the United executives and didn’t fill in a weekend day. The following day the newspapers, radio and TV reported that United’s CEO had taken a rental car and did his own personal tour. He bluntly told the city that the trash, oil field pipe and equipment yards, unkept homes and general lack of pride led him to a cataclysmic decision for the city. The airline basically told local officials that Indianapolis won because it offered a superior quality of life and that they couldn’t see employees living in Oklahoma City. Despite receiving nearly $300 million in tax breaks and other incentives from Indianapolis and Indiana, United never lived up to its promise. Spiraling into bankruptcy by the early 21st century, United closed its new 1.7-million-square-foot Indianapolis maintenance hub in 2003 after failing to generate 50% of the jobs it promised a decade earlier. On the other hand, Oklahoma City took its 1991 rejection seriously. As a result, that rejection led to the Metropolitan Area Projects (MAPS) initiative being passed by voters in December 1993. This five year, 1 cent sales tax increase funded the implementation of several major quality-of-life projects and the rest was history. 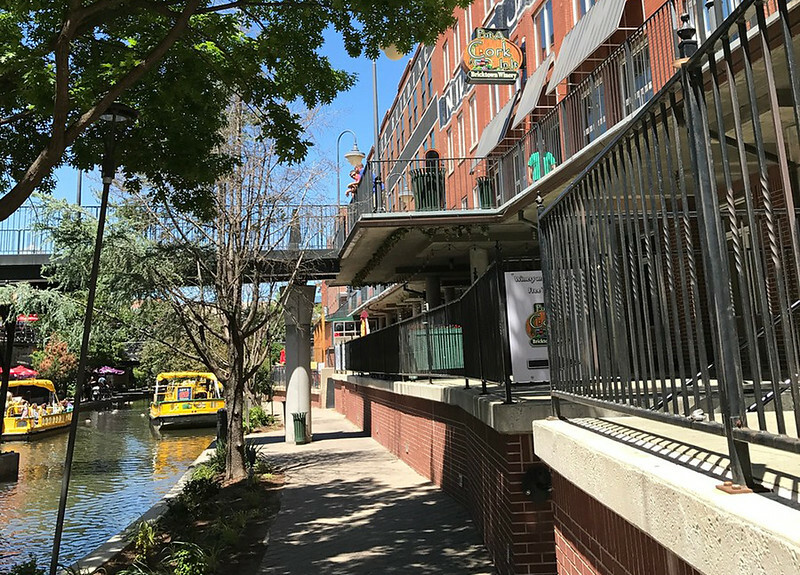 One of those initiatives was the redevelopment of a long depressed early 20th century industrial area on the edge of downtown into the Bricktown Entertainment District. 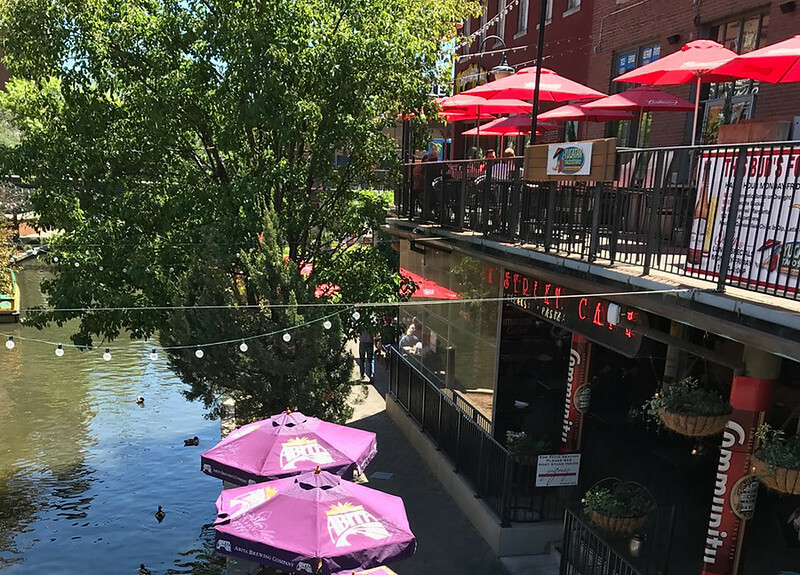 Combining a cluster of historic warehouses with a $23 million, one-mile long navigable canal that was completed in 1999, Bricktown has grown to become a vibrant 50 block district filled with restaurants, retailers, nightlife and entertainment venues in the 21st century. The success of the MAPS initiative has resulted in additional quality-of-life investment within the city. Now MAPS 3 promises to restore a critical element of early Oklahoma City’s development. On Sunday February 1, 1903, the Metropolitan Railway Company rolled out the first electric streetcar in Oklahoma, then a community with 10,000 residents. By the time Oklahoma Transportation Company, a statewide bus company, acquired the streetcar to shut it down in 1945, Oklahoma City had developed into an urban center and streetcar neighborhoods serving 243,000 residents. Soon the streetcar will make its return to this progressive community. Funded by the 2009 MAPS3 city-wide 1-cent sales tax, the 4.6-mile OKC Streetcar will include 22 stops linking major employers, businesses, attractions and residences in the downtown area. Budgeted at $131 million, the modern streetcar system will include seven vehicles with each holding approximately 100 passengers. The OKC Streetcar is anticipated to be completed by December 2018. However, it won’t be the last transit initiative this city full of self-confidence has in mind for its future. It’s simply an initial phase of a comprehensive and extensive network of local bus, Bus Rapid Transit, streetcar and commuter rail lines included as a part of the city’s 2030 Fixed Guideway Plan. Photographs courtesy of Robert Mann.